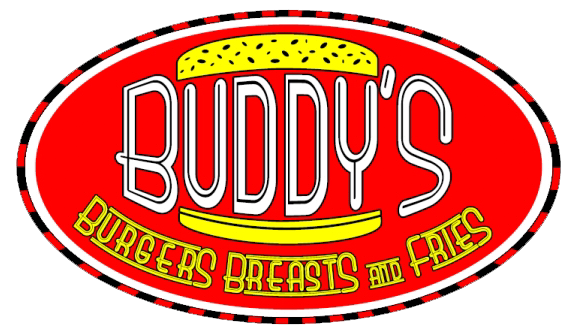 At Buddy’s, We strive to bring you the freshest available ingredients. Our beef is ground fresh daily. Our fries are hand cut. Our sauces are homemade. We believe the best way to eat a burger is on a fresh, seeded Martins Bun. Enjoy! Enjoy a Beer with your Buddy! Contact Store for Current Tap and Bottle Selection. Wings tossed in one of our sauces: Voodoo | Carolina BBQ | Texas BBQ | Buffalo. Choice of Smoked Pork or Grilled Chicken. *All meats are cooked well done. Consuming undercooked meats may result in food-borne illness. Items & Prices Subject To Change.